Dominion® KX consists of two main components: the digital KVM switch and Computer Interface Modules (CIMs). The switch connects to each CIM to provide KVM-over-IP capability for remote access along with simultaneous local access for controlling servers at the rack. Each CIM connects to the KVM ports of an individual server and converts the video signal for transmission up to 150 feet over UTP (Cat5/5e/6) cabling. The CIMs also deliver Raritans patented "keep-alive" keyboard/mouse emulation. 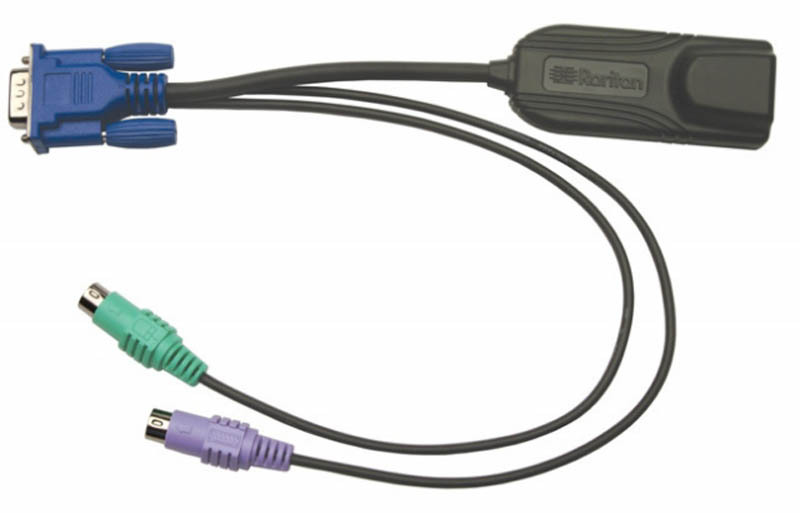 Dominion® KX consists of two main components: the digital KVM switch and Raritan Computer Interface Modules (CIMs).